Seagulls traditionally nest in seaside and coastal surroundings, however we have recently seen a change in nesting sites and have identified an increasing presence of gulls in urban areas. Prompting this change is the growing abundance of city food sources, and the incentive of safety where seagulls and their chicks are free from prey and predators. Before you can finally take control and reduce the amount of gulls, we recommend cluing yourself up on all seagull facts. Controlling them is the first step to prevention as this can be the most effective method to inhibit future perching within developed areas. 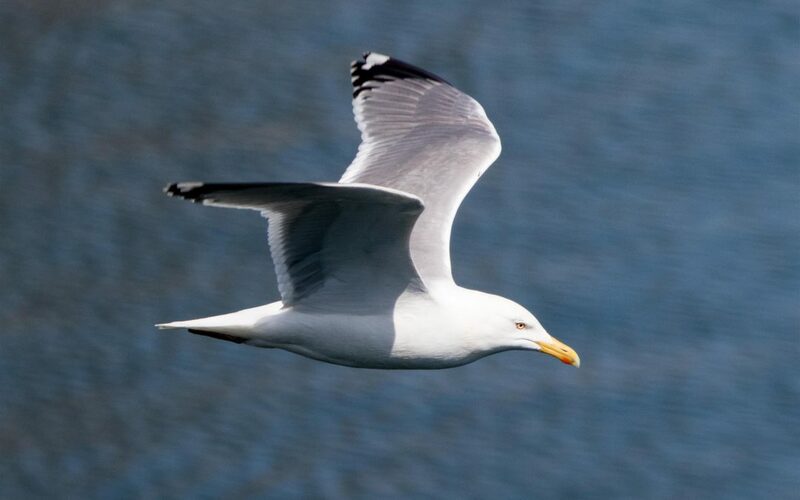 Types of Gulls – The UK inhibits a variety of Gulls, some most commonly known as the Herring, Kittiwake and yellow-legged gull. Depending on the species, characteristics will vary and adaption to nesting sites will differ – it is crucial to see what type of gull you are handling, as they’re behavioural interaction can be harmful and when challenged seagulls can tend to be vicious! Legislation – The Wildlife and Countryside Act 1981 contributes to legislation regarding bird control and the protection of some feral birds. Pest control companies need to abide by the regulations implemented by the national government, which prohibits cruelty and violence upon reducing flock in industrial and rural settings – Seagulls are a protected species. Throughout certain times during the year, gulls will nest more profusely and habitually. Summer being a popular season for seagulls as they like to nest inland, nearer to the coast, and Spring being their customary breeding season – gulls are active throughout the entire annuum; with each season having a different behavioural impact. Spring – The transition from coastal sites to suburban areas comes as a result of their breeding season beginning in April. Their aggression is a serious concern during mating season as they become obscenely protective over their offspring and if the gulls believe that their eggs are in any type of danger, their hostility becomes most apparent, which is alarming for people who struggle to control these bothersome birds. Summer – Once their eggs have been laid, it usually takes up to three to four weeks for their offspring to hatch in June. From August onwards, chicks will start to leave the nest, however they will return to their original nesting site when they want to start their own families – which may be a problem if you have noticed gulls roosting on your property. Winter – Gulls will move to warmer climates during the Winter months as they need to protect their body from the arctic temperatures, which can have a detrimental impact on their health and wellbeing. This is why they gravitate towards residential areas, which produce thermal insulation, resulting in a greater warmth for our feathered friends – this is why so many seek seagull deterrents for flat roofs in the colder season! Hiring the Experts – When controlling gulls, the proofing of your property is a highly specialised skill which requires the intervention of professionals with years of experience dealing with unruly and gulls. Hiring experts to competently execute gull control measures ultimately ensures a maximum success rate and a permanent elimination of roosting gulls from your premises. Gull Deterrent Devices – Discouraging the presence of gulls can prove difficult when they aren’t restrained. Using appropriate equipment that accommodates to the necessary requirements to gull proof your premises is crucial, which is why we highly recommend utilising these devices; seagull spikes, netting and rubbish reduction. So, you’ve hired the experts and now you’re wondering how to keep your site free from Seagulls? Maintenance is just as important as the initial proofing of your premises, therefore we recommend sustaining your control methods to ensure complete removal of gulls. Stop Feeding Seagulls – There is slight controversy regarding feeding these birds, some people will perceive this activity to be leisurely and recreational, whereas others recognise the problems that arise from this casual behaviour. Feeding these wild birds simply enables them to be more comfortable around humans which is why they nest in residential areas. Waste Reduction – When carelessly dropping litter, it provides these creatures with an incentive to perch upon your property, encouraging more destruction and bother. It can also be harmful to their health as human food is not adequate nutrition and it is more than likely that they will consume toxic materials, such as plastic which can be fatal to their mortality. Why Maintenance is Vital – The characteristics of seagulls can sometimes become troublesome and a danger to human health – posing safety risks upon not only your health, but also the destruction of your property which can become a growing inconvenience for those with businesses to run and houses to look after.